My son turned 6 way back in February, so I figured a few posts may be a bit overdue. 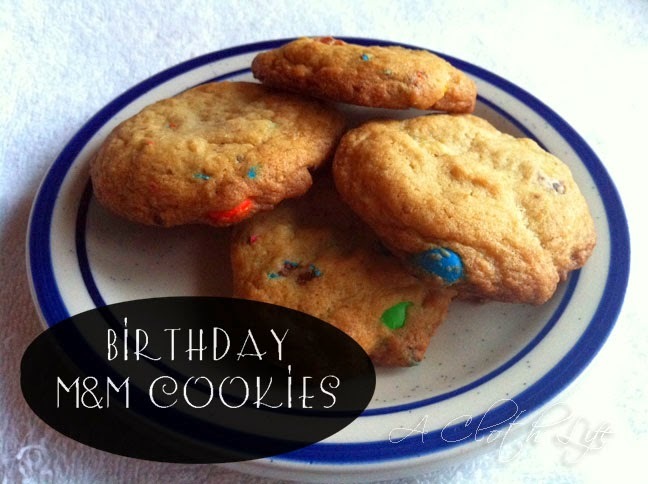 First, I wanted to share these M&M Birthday cookies I made especially for G.
If you ask G, he'll tell you his favorite cookie is chocolate chip. If we get a bag of plain M&M's in the house, he'll tell you his favorite cookie is M&M's. 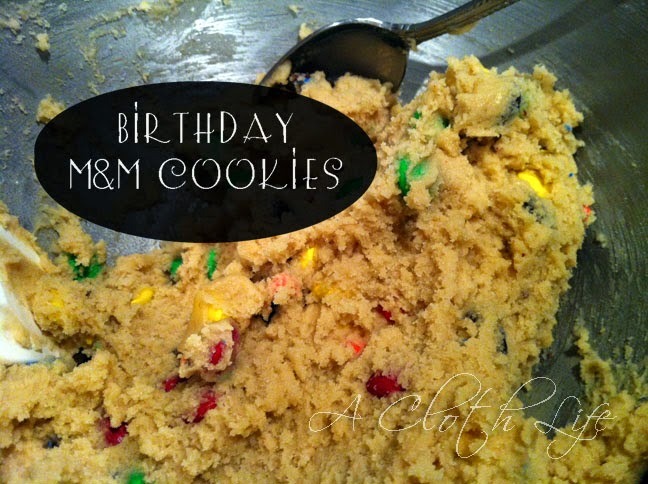 So it only seemed fitting I should put together a batch for his birthday. Our favorite cookie base recipe, slightly altered, comes from an old, falling apart Betty Crocker cookbook in a kitchen drawer at my mom and dad's house. Tried and true, right? And this one is so simple, too! Heat oven to 375. Cream Butter and sugar. Add eggs and vanilla, mix well. Stir in remaining ingredients until just blended. Drop dough by rounded teaspoonfuls onto ungreased baking sheet (parchment paper recommended). Bake 8-10 minutes. 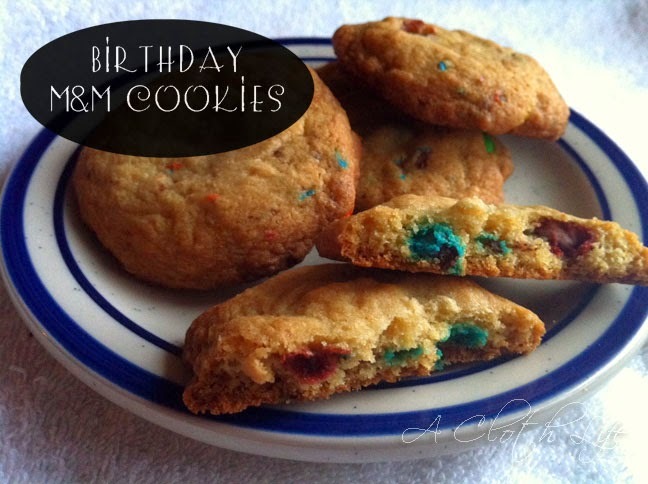 What are your favorite cookies? Any newly discovered recipes you think I should try out? 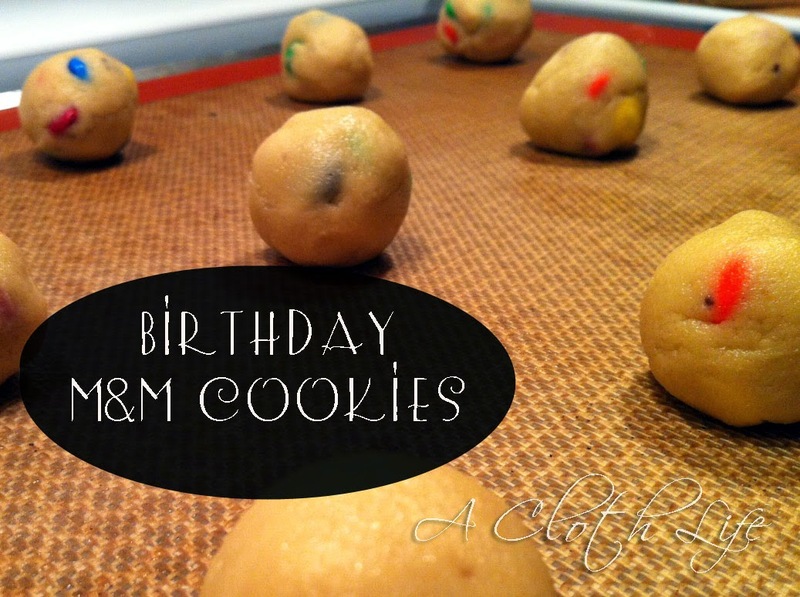 You know I'm always game for a new cookie recipe!